Lebanon, PA (March 20, 2018) – Tom Schoeller, Senior Vice President, Howard Hanna Franchising, Mergers & Acquisitions, today announced that Century 21 Krall Real Estate has partnered with Howard Hanna Real Estate Services through their exclusive franchise program. Founded in 1973 by Ronald W. Krall, Century 21 Krall Real Estate is one of the leading real estate office in Lebanon County, providing residential and commercial brokerage services. Krall Real Estate is led by Broker/Owner Holly Krall-Heft, and in 2017 was voted the Best of Lebanon Valley in real estate by readers of the Lebanon Daily News. Krall Real Estate has been the recipient of this award every year since its inception in 2011. The Howard Hanna franchise program allows franchisees to retain ownership and decision-making locally, while utilizing exclusive Howard Hanna marketing tools and nationally acclaimed training and learning programs for sales associates, bringing more buyers and sellers together in successful transactions. Howard Hanna has been helping people feel at home since 1957, when the real estate company was founded by Howard and Anne Hanna in Pittsburgh, Pennsylvania. Through both organic growth and mergers/acquisitions, the company is now the 3rd largest real estate company* in the United States with 262 offices throughout Pennsylvania, Ohio, New York, Michigan, Virginia, North Carolina, West Virginia, and Maryland and more than $18 billion in closed sales volume last year. The full-service company provides residential and commercial brokerage, mortgage, insurance, closing and escrow, appraisal, relocation, and property management services. 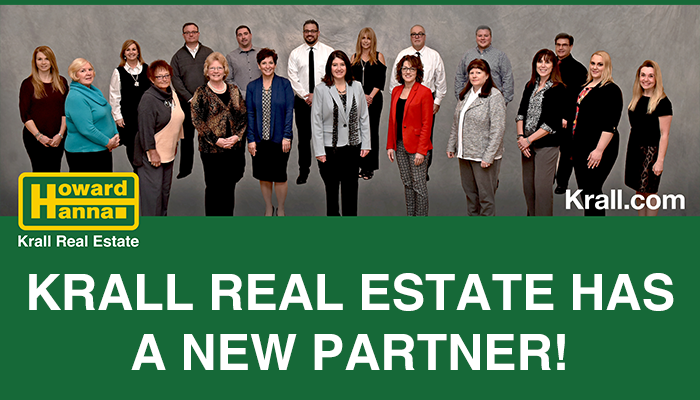 Krall Real Estate will operate as Howard Hanna Krall Real Estate at 1640 Cornwall Road, Lebanon, PA 17042. For more information, please call 717-273-1631. Howard Hanna continues to look for strategic partnerships with market leading companies. For information on franchising with Howard Hanna Real Estate Services, please contact Tom Schoeller at 570-460-0272 or tomschoeller@howardhanna.com. *Ranked by REAL Trends 500 annual report, May 2017, based on transactions 2016 calendar year.